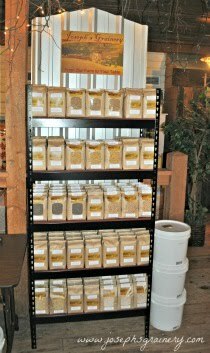 Did you know that Joseph's Grainery can supply you with Whole Grains and Legumes in bulk quantities? Yep, we can burry you in wheat, barley, lentils and garbanzo beans. Literally. How much do you need? Shoot us an e-mail. These totes each hold a ton and are filled with Joseph's Grainery Unhulled Barley. Over the next few months they'll be making their way to LINC Foods in Spokane, Washington. 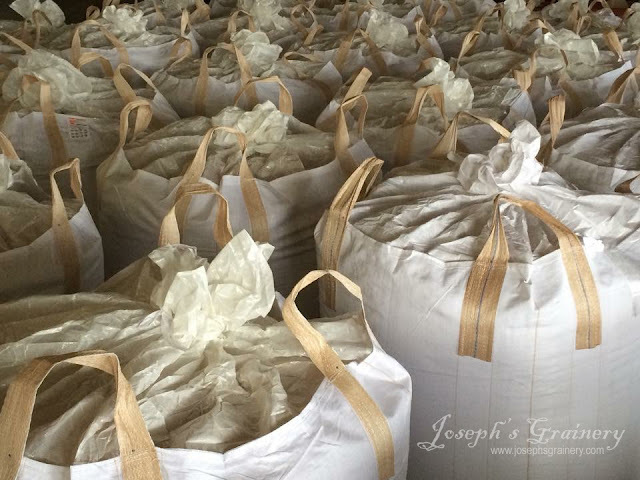 Joel and the crew at LINC Foods will be creating a local craft malt using Joseph's Grainery's wheat and barley in LINC's new malting facility. You too can have large quantities of hard red wheat, soft white wheat, unhulled barley, lentils and garbanzo beans delivered to your door. Get in touch with us, we'd love to put together a specialized quote for you and your whole grain needs. What's more direct than having the farmer load the grain onto his truck and deliver it to your door? With the right quantities, we can do just that. Need a large quantity? We can deliver.